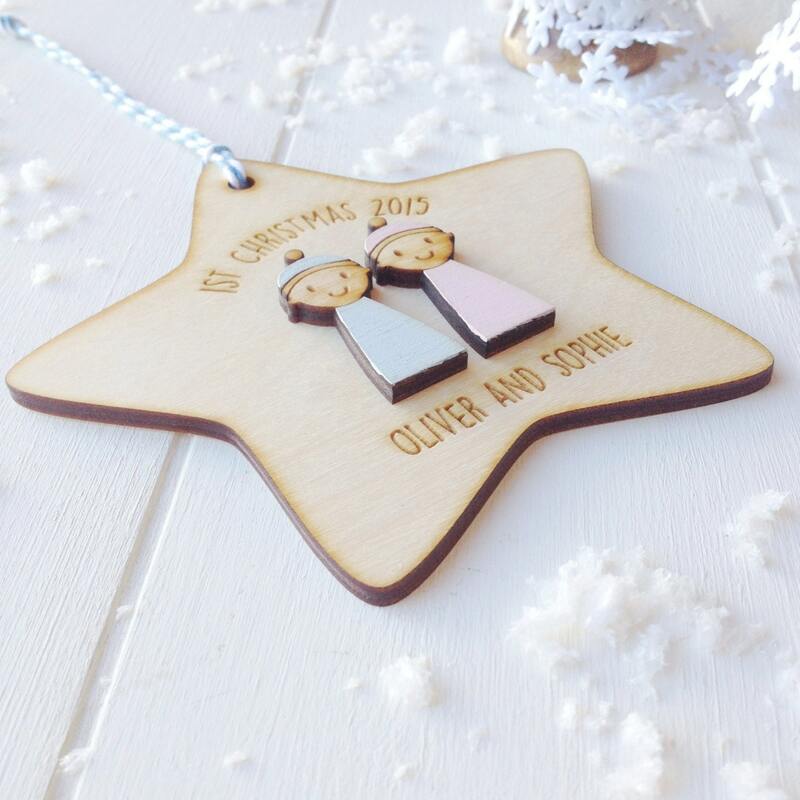 A beautiful star tree decoration for baby twin's first Christmas. 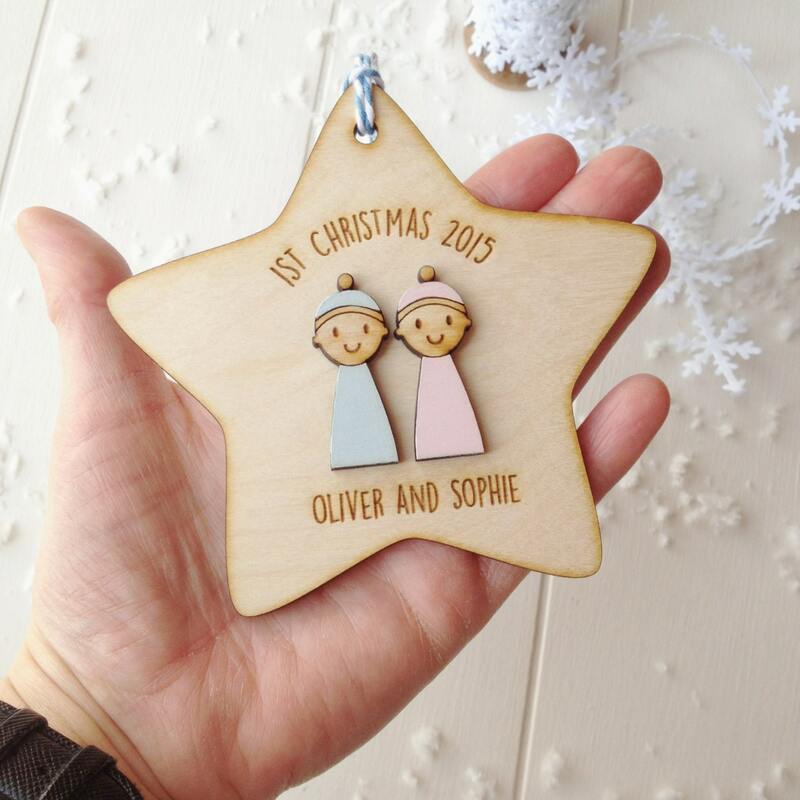 The decoration is made from lovely natural wood and features two hand painted baby figures. They are dressed in a choice of baby blue or baby pink suits with cute little bobble hats. 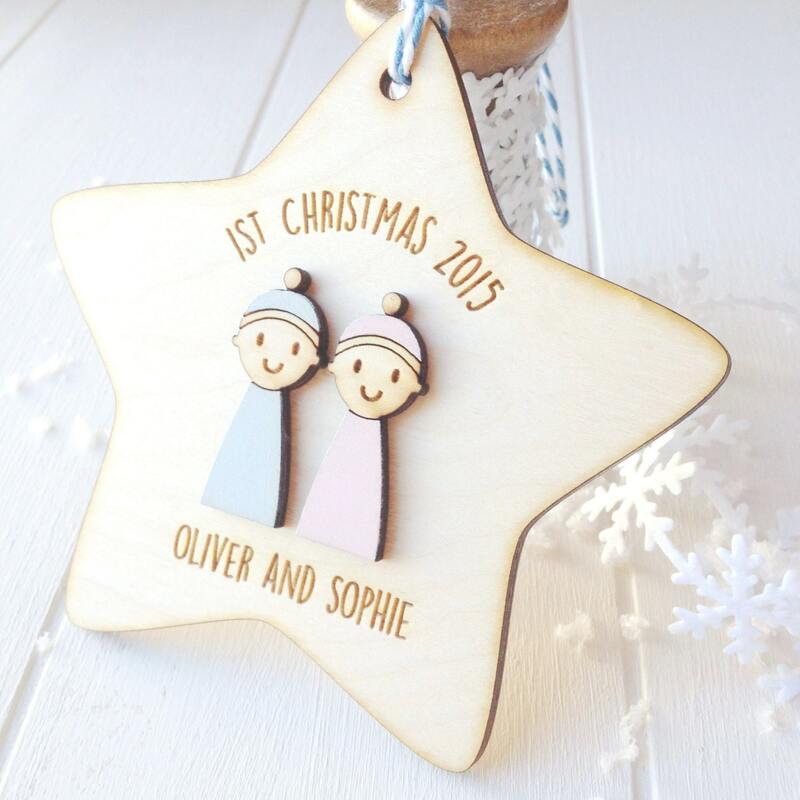 The star is made from beautiful natural wood and is personalised with the year and the babies names. 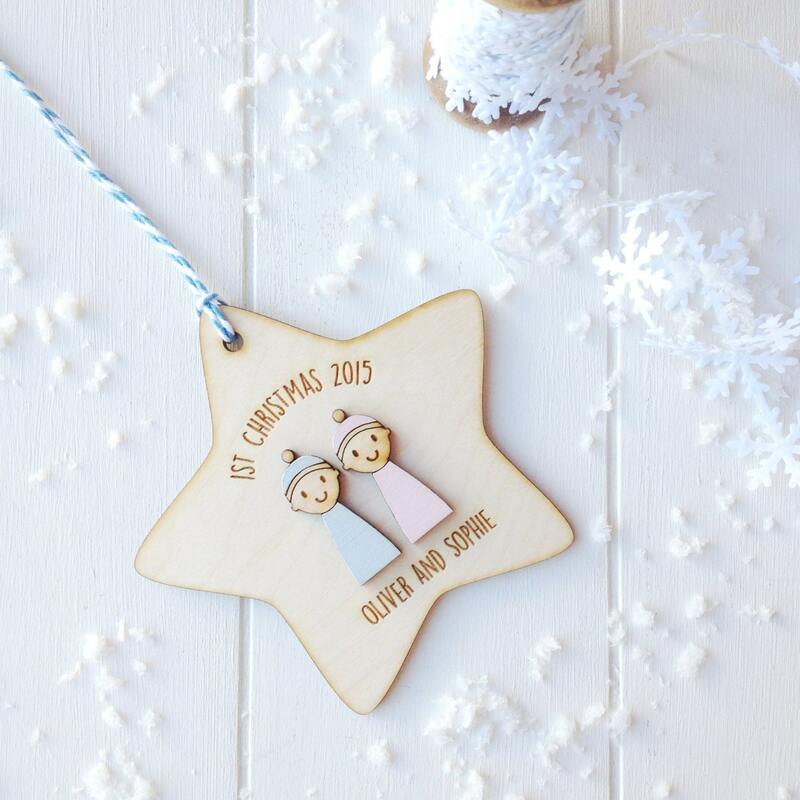 Each star is made to order and carefully finished with blue and white or pink and white twine. 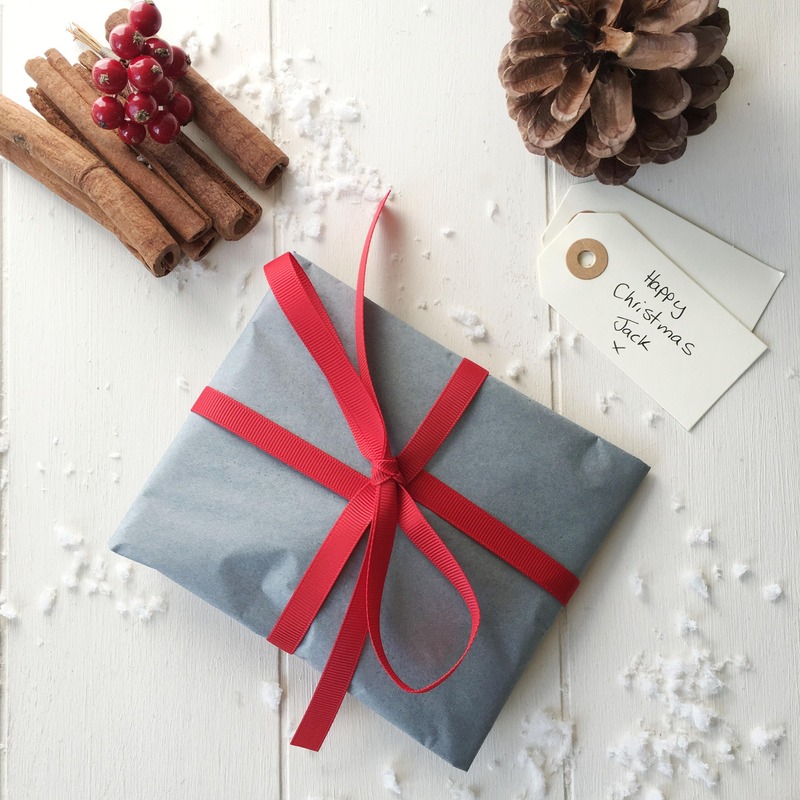 Excellent service, item arrived promptly and I am delighted. Beautifully made.